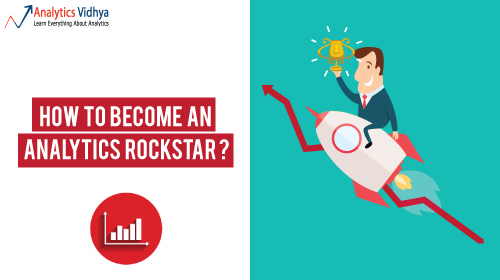 Home Business Analytics How to become an analytics rockstar? 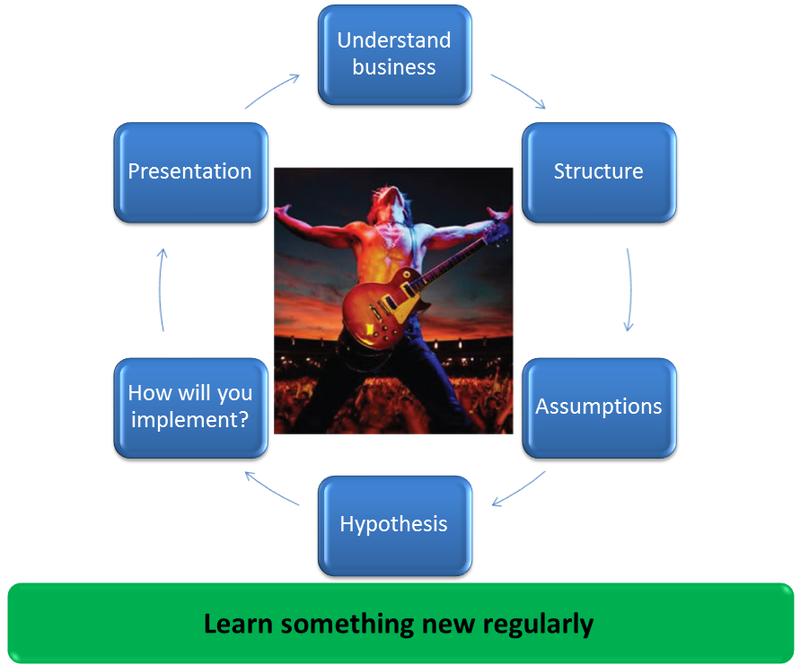 How to become an analytics rockstar? I still remember first day in my first job. I walked in the office with high ambitions and little understanding of what it takes for an analyst to become successful. The decision to take up the job was based on the fact that some of my college alumni (whom I thought highly of) thought highly about the company and the role. It took me almost 6 months to understand what is required to achieve success in Analytics industry. It happened only because I had the luxury of some really good mentors and loads of enthusiasm to learn new things. Not every person is lucky to have them early in their career. While the understanding has obviously evolved over the years, most of my initial learning has stayed. I have obviously practiced and improved these learning during this time. In the remaining article, I’ll outline these success ‘mantras’ for becoming an analytics rockstar. These ‘mantras’ are as effective for a newbie as they are for a seasoned professional. Unless you understand the business, you can not succeed in creating a solution for it. You have to understand the process end to end, why do things happen in the manner they do? What are the alternatives? What are the gaps? What are the opportunities? Are there places where execution differs from intended strategy? Why? Draw out the process flow and identify any gaps and opportunities. Nominate yourself as a customer / business lead to see how the process works for customer. How do we keep write-offs from lending portfolio below 3%? Who are our ideal customers and how much can we invest to acquire them? The article written before has some best practices mentioned in order to improve structured thinking. Find them here. Remember to call out your assumptions in doing the analysis. Remember the implicit rate of interest? or the product margin you assumed? All of that needs to be mentioned to the stakeholders and decision makers. This is important because you need to tell all the ingredients to your stakeholders. If you do this right, this will help you understand the errors coming in because of wrong assumption vs. gap in framework later on. Especially, in scenarios where you are entering the unknown, you will be able to go back and see what went as per expectation and what did not. One of the best practice which helps to achieve this is to create a holistic list of assumption in your document / presentation and keep it as ready reference. Which business hypothesis stand validated with data / analysis? Which hypothesis business was not aware of? What opportunity can they translate into? Which hypothesis stand rejected? What is the impact of these corrections / changes? In addition to this, list down all the hypothesis you had but have not been able to prove / dis-prove them due to lack of data, time or resources. Decision owners should know the blind spots before taking a decision. Keep it simple: It is always easy to create the next Pandora’s box with the tools and data. But what would you do if your CRM does not support it? or if there is no campaign management solution? Even if there is, can you create so many segments automatically? More often than not, keeping it simple makes it easy to implement solution. You can always propose that Pandora box in next iteration. Apply 80 / 20 ruthlessly: If applying 20% of analysis outcome brings in 80% of benefits, apply them and focus on how you can boost these 80% benefits further. Presentation – What is the story? Are you presenting the story (coming out of numbers and analysis) or you are presenting what you did? If you are doing the later, STOP. It won’t help! Even if you have done various pieces of analysis and they don’t fit in the story, don’t present them. Also, if this happens regularly, think about how good was your structure in first place? Who are you presenting to? What would they be interested in? Have you called out the solution to their needs in this presentation? Follow the practice: “Tell them – what you will tell them, tell them – tell them, tell them – what you have told them” in structuring your presentation. Start with summary, present the findings and finish with summary of recommendations and benefits from the project. Read for 30 minutes daily before going to bed. If followed in disciplined manner, these ‘mantras’ will become your guide to make sure you are on your path to achieve success. If you know of any other practices which can help analysts accelerate on their path to success, please feel free to share them below. Kunal – thanks for sharing inputs w.r.t. Analytics in a simple manner……..find it extremely useful for grasping concepts….you are a true Analytics Rockstar! Can you suggest me a learning group? Participate in data science competitions in Analytics Vidya, Kaggle or Innocentive. Join their forums etc. They are very good learning groups. A lot of new things can be learnt from the discussions.